Allan Fraser & Daisy DeBolt met in the summer of 1969. 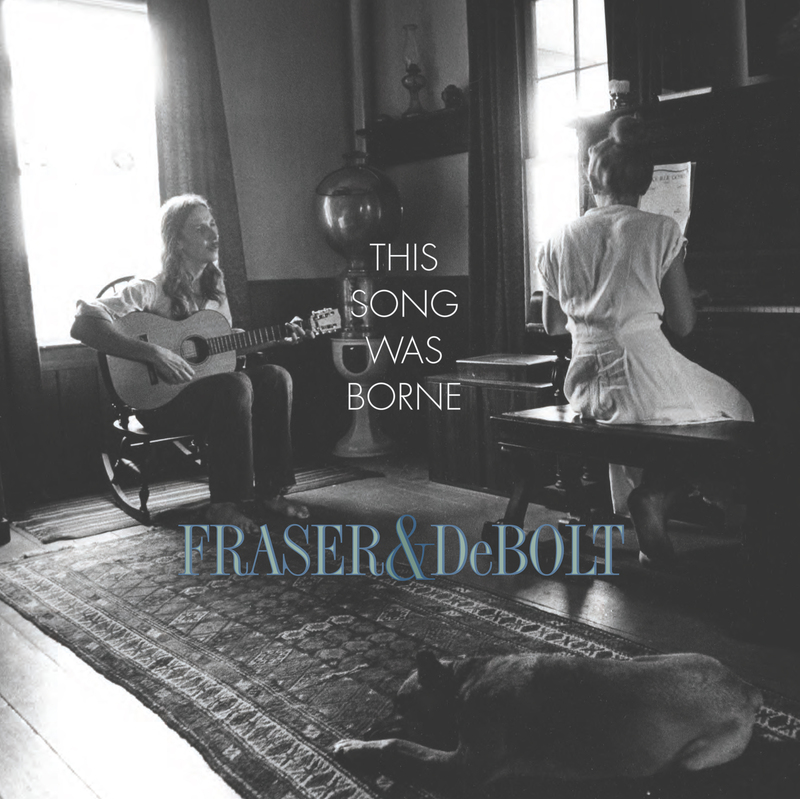 They had both been working individually on the coffeehouse circuit in their native Canada; over the next five years, as the duo of Fraser & DeBolt, they created a sublime body of work that still sounds remarkably fresh decades later. They recorded two albums for Columbia which garnered rave reviews at the time, but saw little commercial success. Both have since become cult classics in psychedelic folk circles; the first, With Ian Guenther, being particularly beloved amongst a coterie of die-hard fans. Their combination of ragged-but-right salt & pepper harmonies, evocative lyrics, beautiful songs shot through with occasional dissonant grace notes, and careful arrangements that still managed to sound off-the-cuff made for some of the most beguiling music of its era. Now, Roaratorio is proud to present This Song Was Borne, a double LP collection of previously unreleased demos, studio outtakes, radio sessions, and live recordings from Fraser & DeBolt’s archives, spanning their entire career, in a deluxe tip-on gatefold jacket with detailed liner notes from Allan and Daisy. Download coupon included.